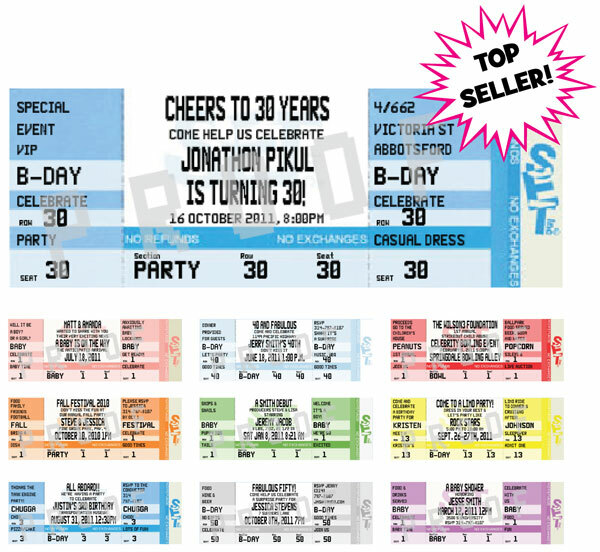 Party411.com can personalize your casino party invitation. 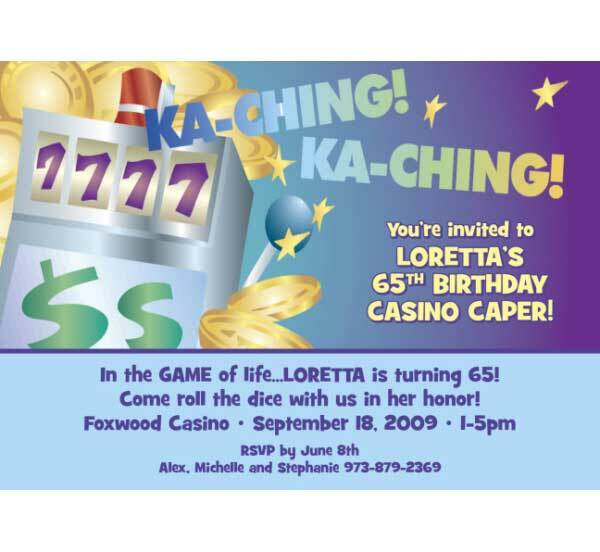 You will "draw" a great crowd with this casino theme party invitation. 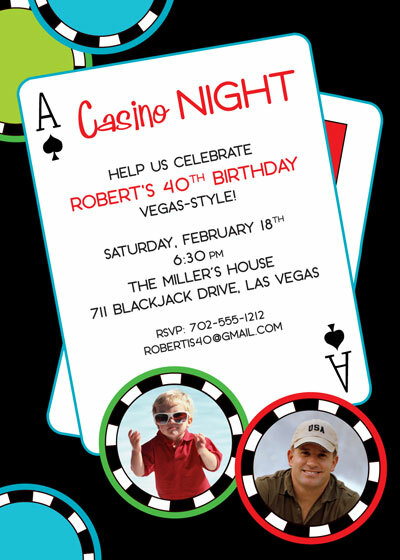 Playing cards and not playing poker? 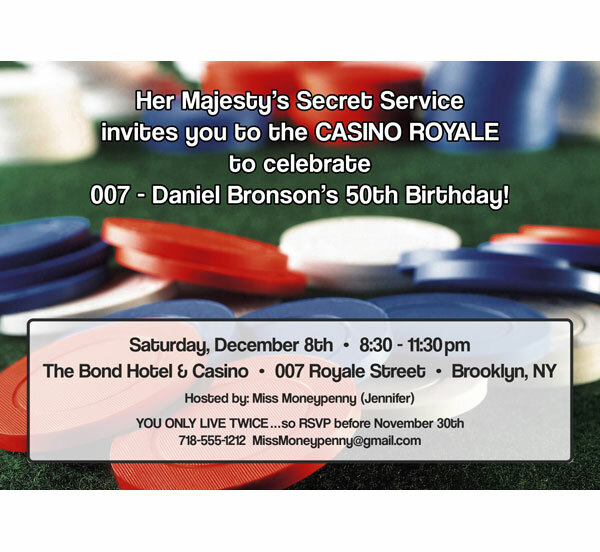 This invite is for you. 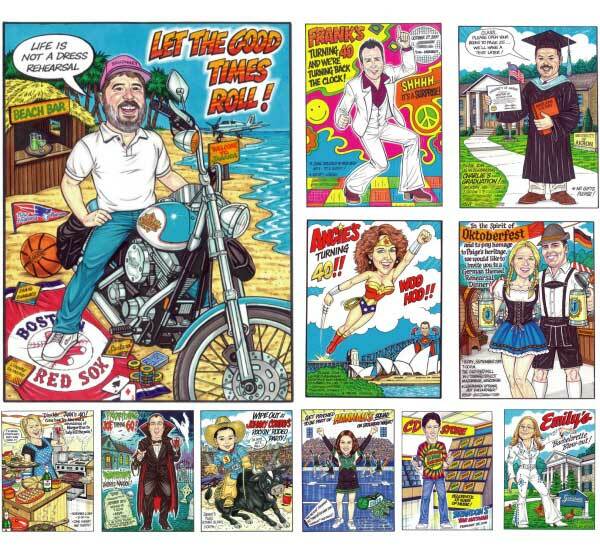 The party is a perfect draw. 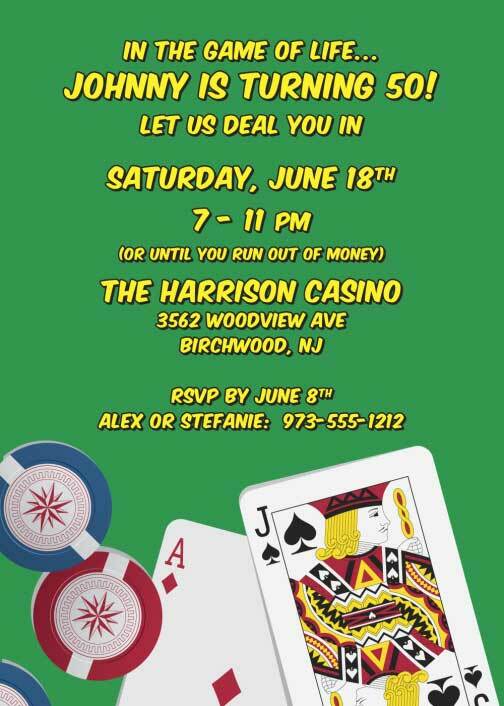 Blackjack! 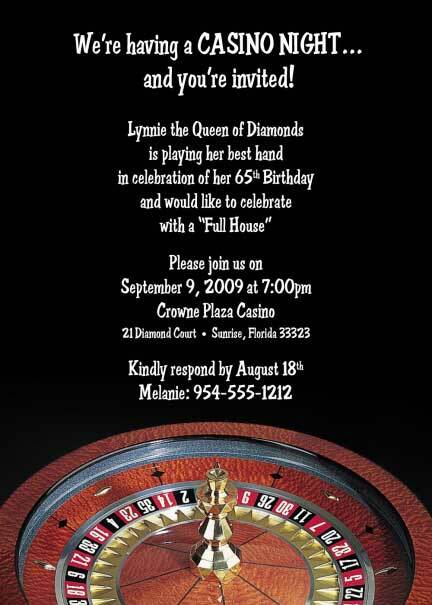 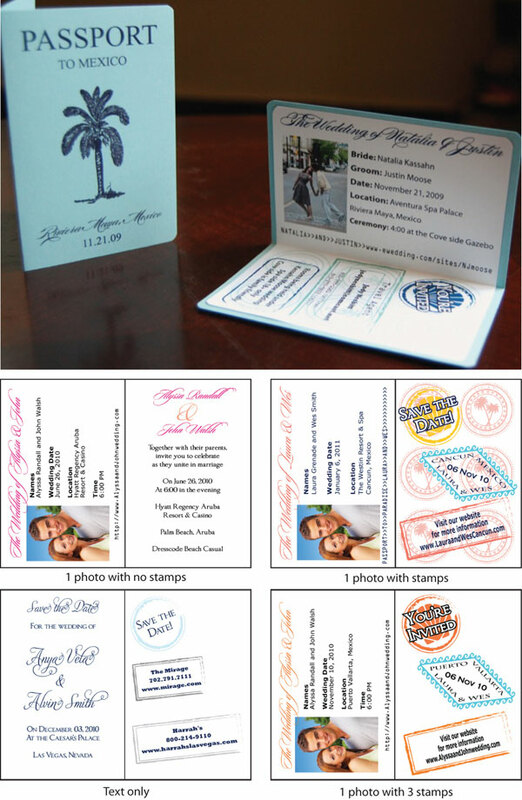 Put your chips on the table with this two sided invite. 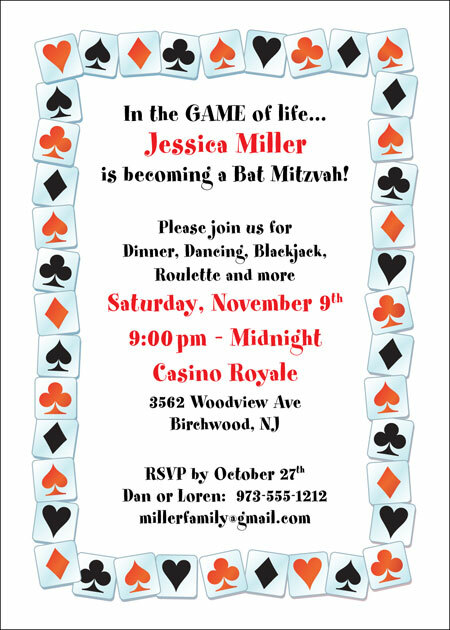 It's a a casino night and you're invited! 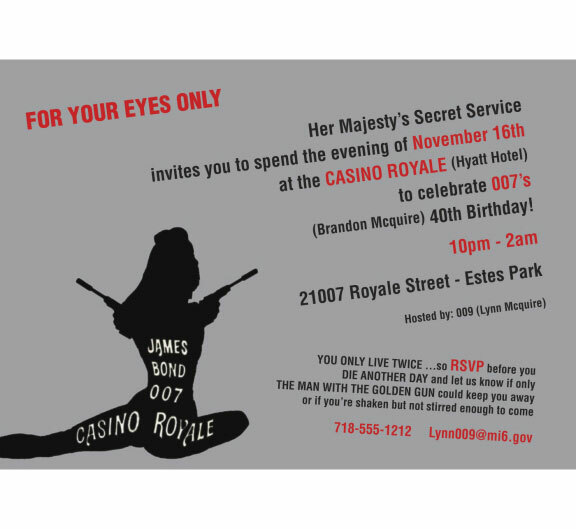 A casino royale invitation that's for your eyes only. 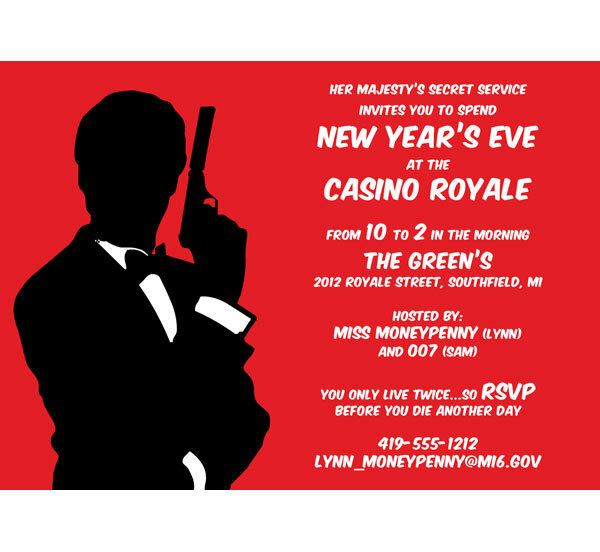 Going to a casino royale? 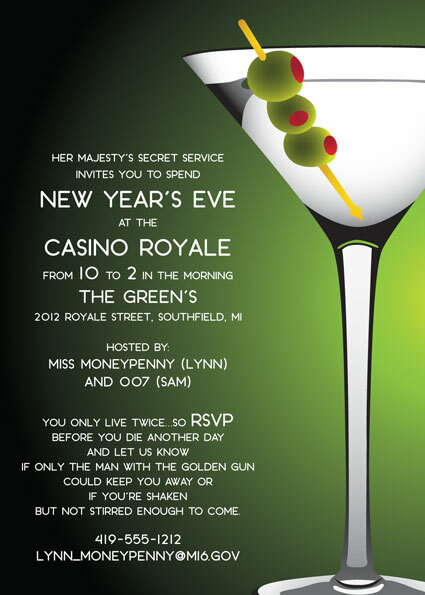 Remember shaken not stirred. 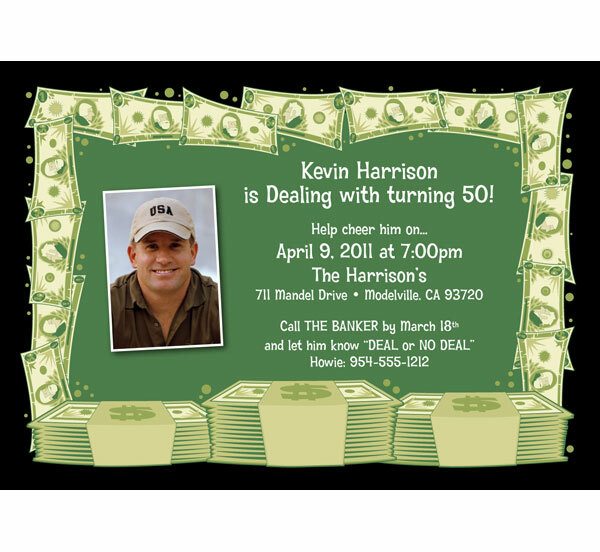 Your party will be a winner!